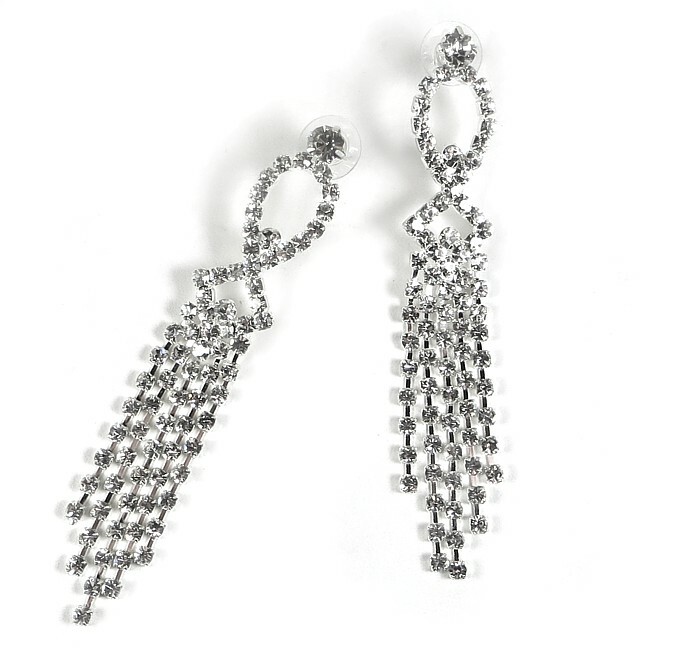 Odeon Long Drop Earrings Discounts Apply ! OTT glamour and shimmer in fabulously dazzling rhinestones. Inspired by the Art Deco period these are long, wonderfully mobile and bang on trend and touch the measure at 10cm (4"). High quality, but not too heavy, so you won't end up with your lobes on your shoulder!